Once upon a time, not so long ago, there were two overgrown boys called Oliver and Peter. And Peter lived on a farm. It was a rather unusual farm because it didn't grow any crops and there were no sheep or cows, but it was the home of Ivor the Engine, Noggin the Nog, the Clangers and of course Bagpuss. And there they made the most beautiful, the most brilliant, funny old Small Films in the whole wide world or so we like to think. 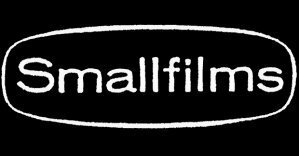 A brief history of Smallfilms and the films they produced. Here are some photos of Oliver Postgate and Peter Firmin at work. A new society has been formed to help maintain and promote the wealth of works produced Smallfilms. Named after the society of dragons in the saga of Noggin the Nog, their first act is to produce a new set of Noggin material - a video, a book and a set of postcards. 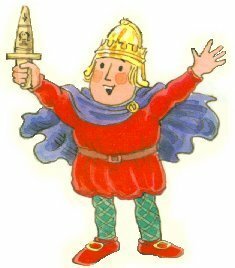 So began each of the Sagas of Noggin the Nog, in which the crown of Noggin, Prince of the Nogs is sought by his wicked uncle Nogbad the Bad who devises evil plots to threaten the safety of the kingdom, and sometimes the world, in order to force Noggin to give up his crown. In each saga Nogbad pursues his plot to the very brink of success, but at the last moment his purposes are foiled by some unexpected piece of luck, cleverness or lack of attention on the part of the Nogs. Not very long ago, in the top left-hand corner of Wales, there was a railway. It wasn't a very long railway or a very important railway, but it was called The Merioneth and Llantisilly Rail Traction Company Limited, and it was all there was. 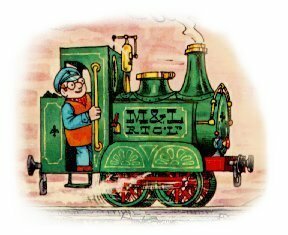 And in a shed, in a siding at the end of the railway, lives the Locomotive of the Merioneth and Llantisilly Rail Traction Company Limited, which was a long name for a little engine so his friends just called him Ivor. So began, in 1959, the first episode of the first series of a set of television films which were to become part of the mainstream of Children's television for the next thirty years. Once upon a time, Not so long ago, there was a little girl and her name was Emily. And she had a shop. It was a rather unusual shop because it didn't sell anything. 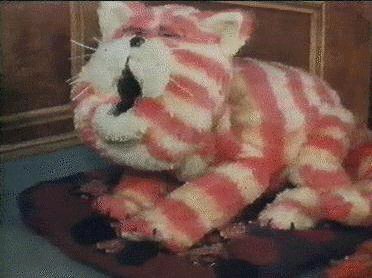 You see, everything in that shop was a thing that somebody had once lost, and Emily had found, and brought home to Bagpuss. Saggy old cloth cat in the whole wide world. If you want more in depth analysis/codswallop, you should head for Jill's Sociopolitical Analysis and the Bagpuss FAQ, and you can also pose questions to the world's best educated bookend when you Ask Yaffle. Everyone remembers the Clangers, the whistling knitted animals that lived on a small moon. They lived a peaceful life, salvaging junk from space to build machines, and making friends with all the strange creatures that came to visit them. 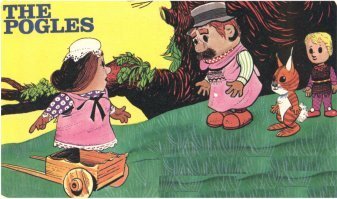 Pogles Wood is the story of woodland folk who lived "deep in the middle of a wood" in a tree with a magic bean plant. Pogles Wood was a Smallfilms Production, originally shown by the BBC between 1964 and 1968. Pingwings was shown on ITV in the early '60s.